I am so excited to have L.L. 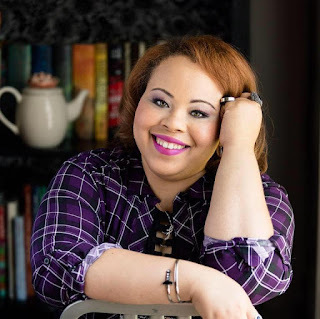 McKinney stopping by the blog today as part of the blog tour for her debut novel! She's here to discuss her Alice in Wonderland retelling, A Blade so Black. Can you tell us a little about A Blade So Black? What kind of a retelling of of Alice in Wonderland is it? A Blade So Black essentially answers the question “What if Buffy fell down the rabbit hole instead of Alice?” I like to call it a reimagining, though I guess that’s not as official a genre as retelling just yet. It’s more inspired by the original classing than trying to emulate the beats in new ways. What I was hoping to do was take the tale and put a completely different spin on it, such as if it actually existed, how did it come to be? What is its connection to our world? What would it look like and how would it function in the present day. Those kinds of things lead to this story. Why Alice in Wonderland? What drew you to this children's classic? 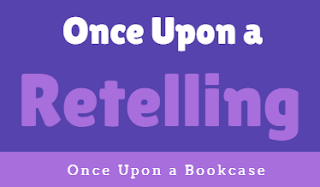 And what inspired you to retell it? I have always enjoyed Alice in Wonderland. The characters, the poems, the general shenanigans, it’s a lot of fun! Silliness for the sake of silliness and all that. I wasn’t really inspired to retell it so much as I had a moment of “mmm, wouldn’t it be cool if….” So, wouldn’t it be cool if Alice didn’t fumble around in a possible representative landscape of her subconscious, but instead was a warrior in a strange, but very real land? What do you bring to the Alice in Wonderland story with A Blade So Black? What do you hope readers get from it? I hope readers recognize their favorite characters from the classic, but in new facades. I hope they take to heart what the description means when it says “this is not the Wonderland you remember,” because it definitely isn’t. I know that will probably bother some Alice superfans, but it is what it is. I tried to bring a sort of contemporary feel to the story, like, if this is real, and Alice is actually gone from the real world when she’s off in Wonderland, how does that affect her everyday life. I know in the story she wakes up almost immediately after her supposed dozing off, but if this isn’t a dream, what then? I hope readers are able to go with me on that journey, to sort of let go of how what they think Wonderland is and be open to what Wonderland could be. 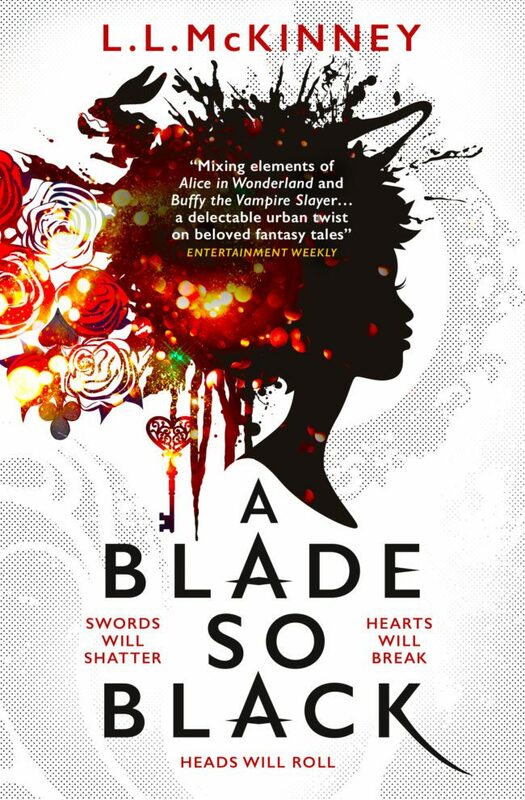 How does A Blade So Black differ from other retellings of Alice in Wonderland out there? To be honest, I’m not entirely sure. I haven’t read any Wonderland retellings. I think the biggest things, at least from what I’ve heard of other retellings, is the setting. This is a modern day Alice with modern problems like school, a hovering parent, dealing with friends, making mistakes, falling down, getting back up again. There are genuine losses in her life that she has to deal with that have little to nothing to do with Wonderland. Also, my Alice is Black, so that opens up a whole new window into this tale. I think the hardest part is coming to terms with the fact that some people just aren’t going to connect with or like the story because it isn’t enough like the original for them, and that’s okay! I didn’t set out to write Caroll’s version, or even an homage to his version, I came at this wanting to tell a story that was unique to this time and unique to me. I love urban fantasy, it is my favorite of the fantasy subgenres, and even though people like to say it’s a hard sell, I had a feeling this story would fit well there. Here’s hoping plenty of people agree with me. Thank you, L. L. McKinney, for such an incredible interview! 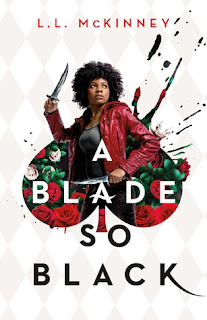 It's been quite a number of years since I read a really awesome urban fantasy novel, so I am super excited that A Blade so Black is an urban fantasy reimagining! Be sure to check out L.L. 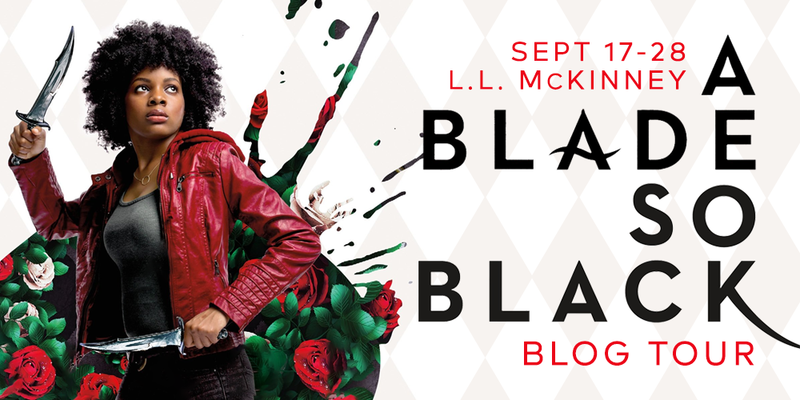 McKinney's website, and follow her on Twitter and Instagram, and check out A Blade so Black, which is published on 25th September, from Imprint in the US, and Titan Books in the UK. Keep reading on for the giveaway! I've really been looking forward to this book! I adore Buffy, so pretty much any reference to it is a plus for me. Good to know that this is more of an "inspired by" than a true retelling. I am so excited to read it myself! It sounds amazing! I'm not generally a fan of Alice in Wonderland, but as this is more urban fantasy, I think I'll really enjoy it! No worries! A Blade So Black just sounds so good! I'm really excited to read it! How interesting! There has been a buzz about this book. I plan on reading it.